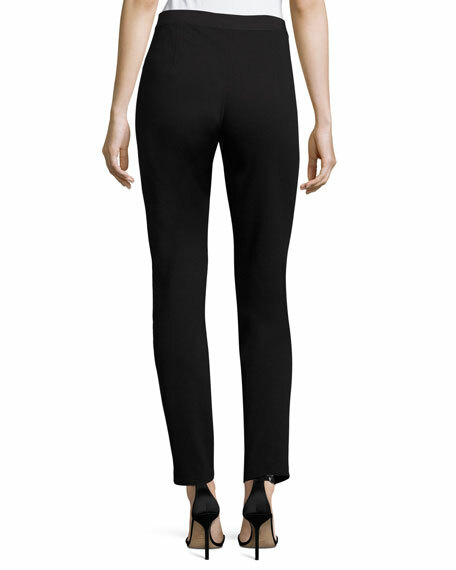 Eileen Fisher leggings combine jersey with a soft leather front for a striking look and flexible fit. Eileen Fisher ponte leggings feature front leather panel with tonal stitching at knee. Approx. measurements: 10" rise, 30" inseam, 39.5" outseam, 11" leg openings. For in-store inquiries, use sku #2251581.